Flex Builder (now known as Flash Builder) is definitely a good tool to design and develop Flex applications. It has been quite a while, I have been using Flex Builder And till now my experience says that It is the best tool to develop UI. One having no prior knowledge of designing can still develop pleasant looking UI without a need of putting fancy stuffs. With rich features, Flex makes sure that you spend less time in developing UI. 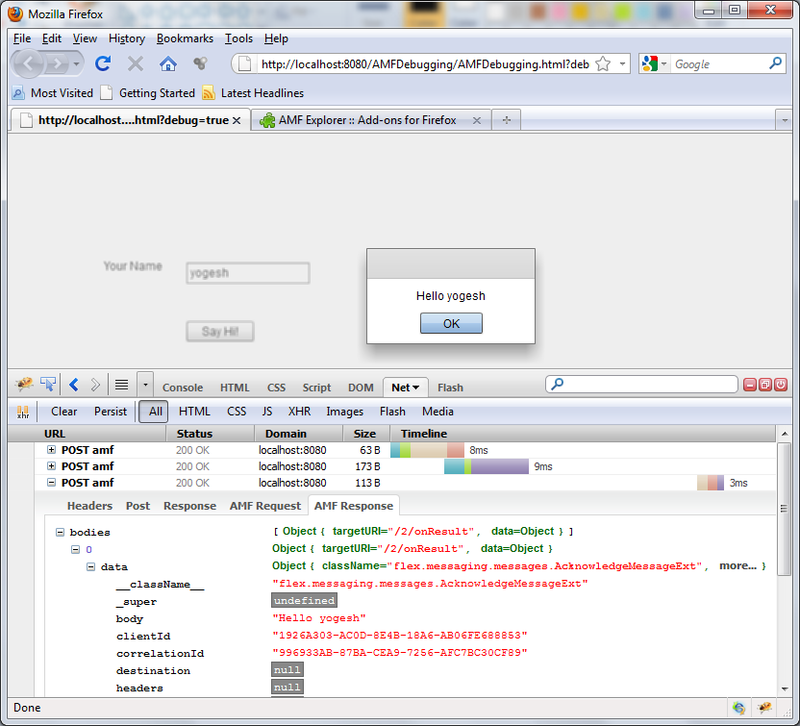 Apart from fancy stuffs, the more important feature of Flex Builder is its debugging capability. Those who have worked with Visual Studio or Eclipse Debugger while developing solution, would feel right at the home. But there is only one problem, you can’t view AMF messages sent by Flash Player. The time from the AMF message is sent by the Flash Player till it reaches to the Server side object, developers are helpless. Sometimes its very much needed to understand what is being really transmitted over the wires. 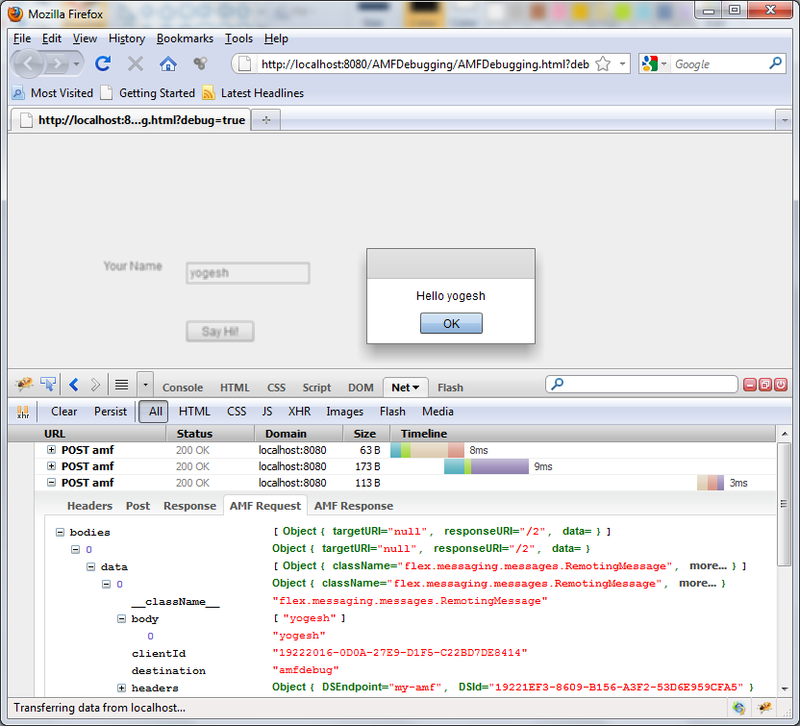 While I was also in search of such a tool to track the AMF messages, I stumbled upon – AMF Explorer (a FireFox Add-on). Those who are using FireBug Add-on, will find it is one more feature available in various options of FireBug. Just search for “AMF Explorer” add-on in “Search” box of Add-on window, Click “Add to firefox” button and you can get started.